Are you a typical swimmer? Have you ever practiced Aquabike in India? Let us know!. The majority of India Aquatic Centre requires you to register as a member for access and other activities, but independent swimming is usually available to the common public. 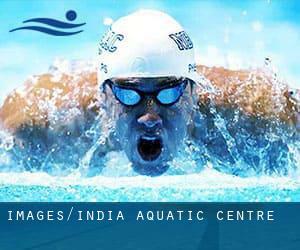 Swimmers like you reported various pools in India and its vicinity, call any India Swimming Lessons before dropping by. Timetables for India Aquatic Centre are changing from time to time, so we advocate you check the schedule on the pool you choose to visit by contacting them. Aquatic spinning or aquabike is predominantly aerobic workout, because it takes place in the presence of oxygen. Check our catalog to find any India Swimming Lessons. Swimia.com tries to verify that all info received is correct by contacting the centre directly, but we often get no response, specially regarding Water Aerobics in India. If you're tired of having eyes and irritated skin, finding a saltwater pool in India could be the resolution. You must know that the level of salt from these pools is nicely below the level of salt from sea water, particularly they are talking about a tenth or less. There are numerous factors why it's best to choose a heated swimming pool in India. One of the most crucial one relies on the importance of keeping the body temperature stable. If the water is as well cold, your body will try to warm it up and you will shed strength to swim effectively. One from the advantages of outdoor swimming in India may be the possibility to sunbathe in the course of the summer season. Taking it with extra care, sunbathing is healthful considering that introduces Vitamin D into the body, so the perfect alternative seems to be switching among indoor and outdoor pools depending on the season. Enjoy the best indoor pools in India and don't worry about the weather. These facilities are open all seasons and you can enjoy a swim at the same temperature every day of the year. 18 Golf Club Road , Tollygunge , Kolkata (Calcutta) , West Bengal (Postal Code: 700 033). This sports centre delivers 25 meters, Outdoors. For this Pool, only phone number is number here. Kumarakom North Post , Kottayam , Kerala (Postal Code: 686 566). Among all the activities offered by the centre, in case you are thinking about swimming you are going to appreciate ~80 meters ""straight away section of a meandering pool"", Outdoors. Just in case you need to make contact with this Pool before dropping by, we only know the phone number. Narendra Nagar , Tehri - Garhwal , Uttaranchal (Postal Code: 249 175). Swimmers like you reported 25 meters, Outdoors. Phone number and e-mail address are number for this Pool. Beach Road , Visakhapatnam , Andhra Pradesh (Postal Code: 530 003). Among all the activities offered by the centre, if you are keen on swimming you are going to appreciate Olympic size, 8 lanes, Outdoors. Just in case you desire to get in touch with this Swimming Pool just before dropping by, we only know the phone number. Shahu College Premises , Sahakar Nagar , Poona (Pune) , Maharashtra (Postal Code: 411009). This sports centre gives 80 feet x 40 feet, Outdoors. Contact data for this Swimming Pool for example phone number and email address are number. Updated on 2019 Sahar Airport Road , Mumbai (Bombay) , Maharashtra (Postal Code: 400099). Swimmers like you reported ~30 meters, 5 feet uniform depth, Outdoors. Phone number and email address are number for this Swimming Pool. Updated on 2019 Velachery Road , Velachery , Chennai (Madras) , Tamil Nadu (Postal Code: 600 032). Few days ago a standard user of this centre told us they offer Olympic size x 25 meters, 10 lanes, Outdoors. Furthermore, they keep in good conditions 25 meters x 18 meters diving pool, Outdoors. For this Swimming Pool, only phone number is number here. Updated on 2019 Papmpamahakavi Road , Sankarapuram , Basavanagudi , Bengaluru (Bangalore) , Karnataka (Postal Code: 560004). This great and large sports centre lets professional swimmers like you enjoy Olympic size x 21 meters, 8 lanes, Outdoors. Additionally, within these facilities you can try 25 meters x 25 meters, Outdoors. Unfortunately we do not have the email address of this Swimming Pool, but we can give you the phone number. No.30, East Club Road , Chennai (Madras) , Tamil Nadu (Postal Code: 600 030). This sports centre delivers 33 meters x 21 meters, Outdoors. For this Swimming Pool, only phone number is number here. 28 Sankey Road , Bengaluru (Bangalore) , Karnakata (Postal Code: 560052). Swimmers like you reported 20 meters (approx. ), 5 lanes, Outdoors. Unfortunately we do not have the email address of this Swimming Pool, but we can give you the phone number. S. No. 910/2 , Mumbai Agra Highway , Nashik , Maharashtra (Postal Code: 422009). Among all the activities supplied by the centre, should you be enthusiastic about swimming you are going to get pleasure from 30 meters (approx.) on a side irregularly shaped pool, Outdoors. If you have to make contact with this Swimming Pool, email address and phone number are both number. Bashiyam Circle , Sadashiva Nagar , Bengaluru (Bangalore) , Karnataka (Postal Code: 560025). Swimmers like you reported Olympic size x 25 meters, 8 lanes, Outdoors. Unfortunately we do not have the email address of this Swimming Pool, but we can give you the phone number.